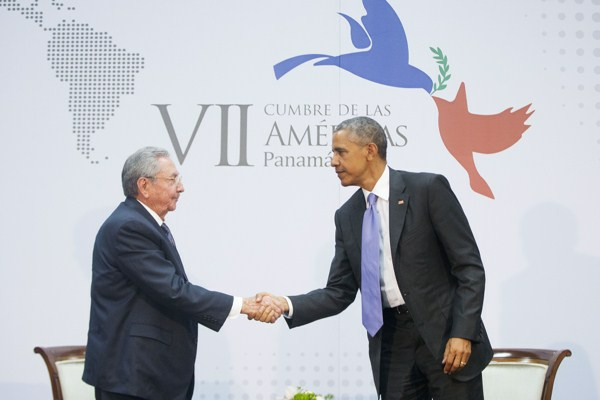 U.S. President Barack Obama and Cuban President Raul Castro shake hands at the Summit of the Americas in Panama City, Panama, April 11, 2015 (AP photo by Pablo Martinez Monsivais). One of the most salient criticisms of U.S. President Barack Obama’s recent overtures to Iran and Cuba is that neither country, as a condition for engagement, has agreed to undertake fundamental reforms of their internal political systems or alter the general direction of their foreign policies. Indeed, the leaders of both countries have claimed victory in defying those types of demands.